"...so our Heroe, Captain Teach, assumed the Cognomen of Black-beard, from that large Quantity of Hair, which, like a frightful Meteor, covered his whole Face, and frightened America more than any Comet that has appeared there a long Time. 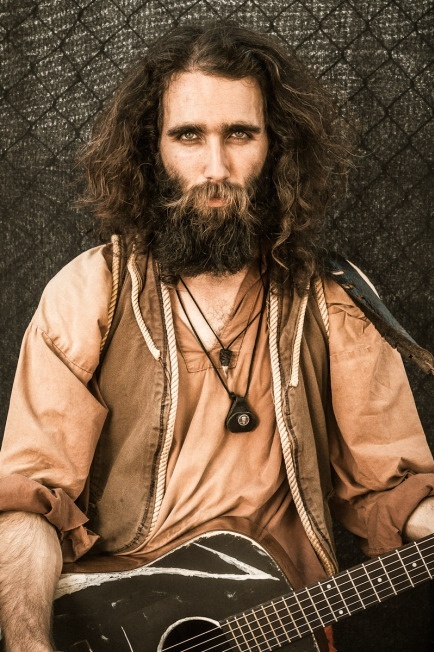 Many of the folks who reenact pirates, or who participate in Pirate Rock music like to cultivate a luxurious beard. Beards are a great way to show off a sense of rebellion. But here’s the thing – real pirates, during the Golden Age, didn’t wear beards! What about Blackbeard, you ask? Well, he was the exception that proves the rule. Blackbeard’s black beard didn’t just cause him to stand out because of its size, color and quality. Just the fact that he had a beard made him stand out… And the beard was a disguise. How do we know how pirates wore their hair? We don’t have any photographs of pirates, and very few illustrations of them from the time period. But we have plenty of illustrations, paintings and engravings of sailors – and pirates were sailors. 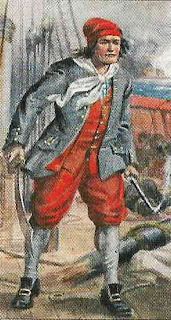 Any deviation from the traditional “look” of sailors was noted when these men turned pirate and attacked merchant ships. So the lack of comments on facial hair indicates that pirates followed the fashion for the average man of the time. It was the fashion for all men at the time to be clean-shaven – amazing considering how crude shaving implements were. Steel razors had only recently been invented, and were still the province of the very rich. Poorer men shaved themselves with iron blades, or plucked the individual hairs with crude tweezers. Sometimes, they shaved with broken glass. It was guaranteed to provide a sharp edge. The new steel razors – precursors of the “cut throat” razor – were sharp all along the blade, and did not fold, which is one of the things that make a modern straight edge razor easier to control and therefor safer. Even if pirates were able to steal the very best razors, they might have been afraid to use them. The very sharp blade and crude design meant that these blades not only nicked the face, but might cut the fingers as well. Enter the ship’s barber. 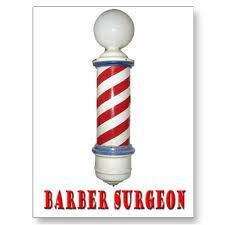 Men had been going to the barber since ancient Roman times. And the event was probably as social event as well as a grooming ritual. Barbers not only had specialized tools, the best blades, and experience, they had gossip and style advice for men who wanted to look their best. This wasn’t an every-day thing. Most men of the time shaved only twice a week – Sundays, and some time mid-week. Additional barbering was done for special events. In the Navy, this meant national holidays, ceremonies of promotion, and visitations between ships. Pirates probably kept the ritual of the Sunday shave, and saved their “special event” shaves for times when the ship was coming into port. There’s considerable evidence that pirates liked to look their best for the ladies. In fact, the image of the barber pole – that rotating red-and-blue striped pole outside old fashioned barber shops – is said to represent an arm being cut open so that the blood ran down. The ship’s barber was also often the ship’s surgeon. More about that later. The ritual of soap, warm water and a sharp blade is familiar to any man who shaves today. Hot water came from the ship’s galley, soap was whatever cleaning compound could be had. A good barber would have served an apprenticeship of several years, during which he would have learned how to care for the blades and tools of the trade. A few notes from traveling barbers does tend to confirm that ship’s barbers did indeed shave men while on a moving ship. Sharp steel? Chunks of glass? 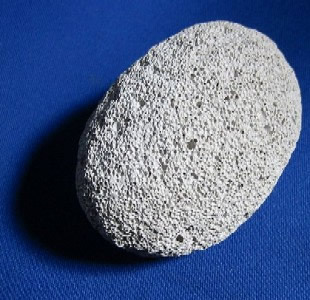 Rubbing rocks on your face? Seems like the very act of being well-groomed proved a pirate’s courage.